Question: Can we upgrade SCCM secondary site to primary site? Answer: Yes we can do. More on upgrading secondary sites….. Question: Can you change a secondary site to a primary site? Answer: No. A secondary site is always a secondary site. It cannot be upgraded, moved, or changed without deleting it and reinstalling it. If you delete and reinstall, you lose all secondary site data. Question: Can you distribute a package to a computer without making it a member of a collection? Answer: No. To distribute software you must have a package, a program and an advertisement. Advertisements can only be sent to collections, not to computers. If you want to distribute a package to a single computer, you must create a collection for that computer. Question: Can a site have more than one default management point? Answer: No. You can configure more than one management points in a site, but only one of those management points can be configured as the default management point to support intranet clients in the site. If you are concerned about performance, you can configure more than one management point, configure them to be part of a Network Load Balancing (NLB) cluster, and them configure the NLB cluster as the default management point. Question: Can a secondary site have child sites? Answer: No. A secondary site cannot have a primary or secondary site reporting to it. Secondary sites are always child sites to a primary site. 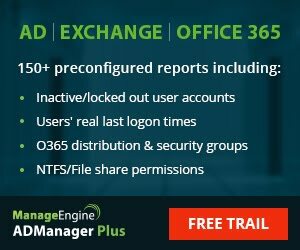 Question: Can you install the Configuration Manager client components without discovering the computer first? Answer: Yes. Client Push Installation is the only client installation method that requires clients to be discovered first. Question: Does Configuration Manager 2007 mixed mode require a public key infrastructre (PKI)? Answer: No. Configuration Manager 2007 native mode requires a PKI, but Configuration Manager 2007 does not. PKI authentication helps provide a greater level of security, but Configuration Manager 2007 does not help you install or configure the PKI infrastructure. If you do not already have the expertise to install and configure the PKI infrastructure, you can start with mixed mode and then change to native mode later. Question: Can computers show up in the Configuration Manager console before they have the Configuration Manager client installed? Answer: Yes. If you use a discovery method, Configuration Manager can find many resources and create data discovery records (DDRs) for them, and those DDRs are stored in the database. However, you cannot use Configuration Manager features such as software distribution, software updates management, and inventory until you install the client components. Question: Can you assign clients to a secondary site? Answer: No.If you have a secondary site, the client must be assigned to the primary parent of the secondary site. However, Configuration Manager knows how to manage clients at the child secondary site. If there is a distribution point at the secondary site that has the content the clients need, the clients will probably get the content from the local distribution point instead of crossing the WAN link to the primary site. Question: Can Configuration Manager 2007 be used to package software for distribution? Answer: No. Configuration Manager 2007 delivers command lines to clients and can force those command lines to run with administrative rights using the Local System account. Configuration Manager 2007 command lines can be batch files, scripts, Windows Installer files with .msi extensions, executable files – any file that the operating system can run, Configuration Manager 2007 can distribute. However, Configuration Manager 2007 does not actually package any software for distribution.